Visiting Angels Awarded "Best of Homecare" 7 years in a row!!! It’s more than just what we do; it’s how we do it! We begin by meeting with you in your home and reviewing your needs through discussions with you and involved family members; when necessary we consult with your physician(s), social workers, hospitals, home health, hospice or nursing home staff. This meeting typically lasts about an hour and the focus is not only to gather details about your health and care needs....but also to get to know you a bit better; your likes, dislikes and preferences. Based on this initial meeting, we review our caregiving staff and select the Angel who not only has the skills and experiences that would best fit your needs....we also look for one who would be a good personal fit. What's unique about Visiting Angels® is that we then schedule a second meeting to personally introduce your Angel to you and your family.This second meeting is more of an informal, get-to-know-you meeting. You can chat and ask the caregiver any questions you may have. The hope is that this will help you to decide if this Angel is the right one for you, before beginning services. If they are, then they can start services when you are ready for them to begin. If you would prefer to meet a different Angel instead, that's no problem at all; we will happily arrange for another meeting with a different caregiver. 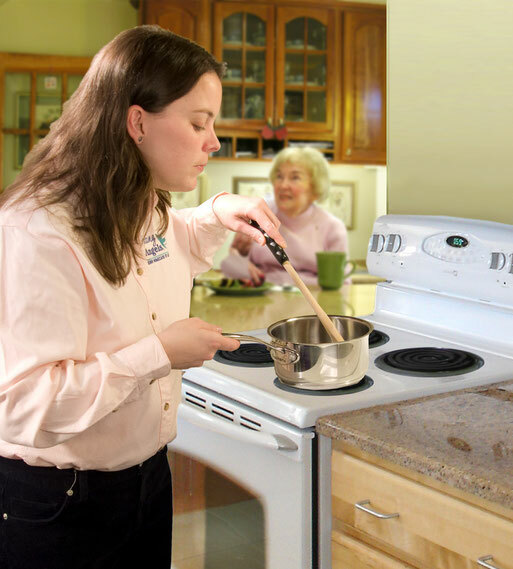 After you have selected your Angel caregiver, an individualized Service Plan is set up for you, to manage your daily needs and assist you in all of your activities of daily living. Once services begin, a member of our management team will stay in touch through telephone check-in and supervisory home visits to monitor the services we're providing and to ensure your satisfaction. We also continually communicate with the Angel caregiver who is providing care for you. If there's a service that you don't see listed here, give us a call and ask about it. Chances are we can help with it or assist you in finding a service provider who can.